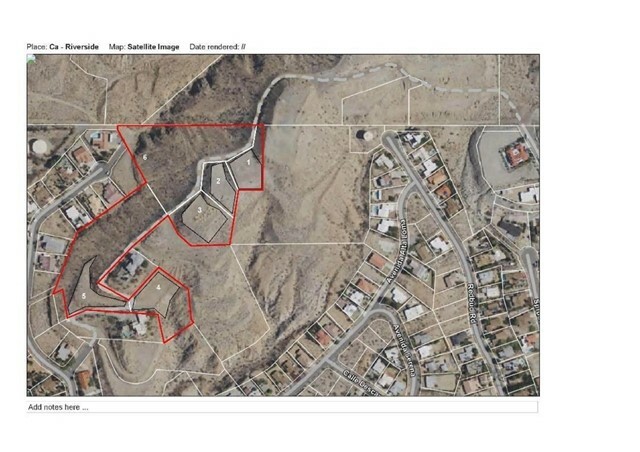 Attention - Investors Developers and Custom Home Builders - Five incredible building sites located on the highly desirable Skyline Dr in Desert Hot Springs with beautiful panoramic views of the mountains, valley and city lights. 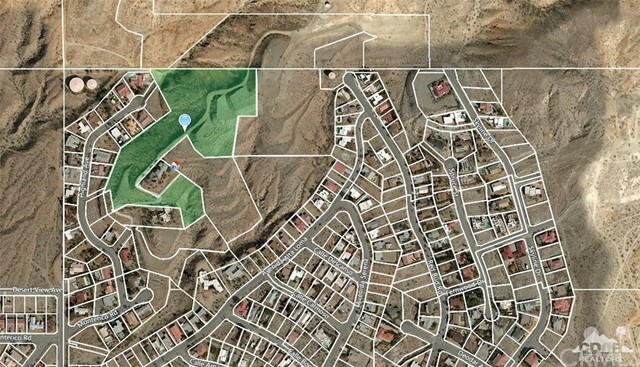 Five existing sites, a total of 9.6 acres, cut into the hillside approximately 1500 feet above sea level. Two sites, #4 and #5 ( see map ) on the paved portion of Skyline Drive ready to build with utilities. Sites #3, 2 and 1 at a higher elevation situated near the top of west Skyline Drive have building sites for large custom homes with pool/spa and outdoor entertaining and 180 degree views. The property is less then 30 minutes to Palm Springs and in Desert Hot Springs City noted for the natural hot water mineral springs spas.